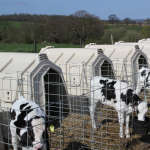 Calf hutches combine the natural benefits of outdoor calf-rearing with a shelter which provides optimum living conditions whatever the weather. Clean, dry, well ventilated and draught free. 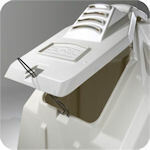 The hutch has unique ridge top vents front and back and a fully adjustable hinged rear vent. A moderate temperature all year with low humidity. The hutch is completely opaque keeping calves cool even in full sunlight. Spacious to give plenty of protection and room for exercise. 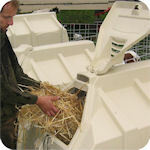 Calf-Tel calf hutches won’t crack or delaminate, due to our unique material and manufacturing processes. 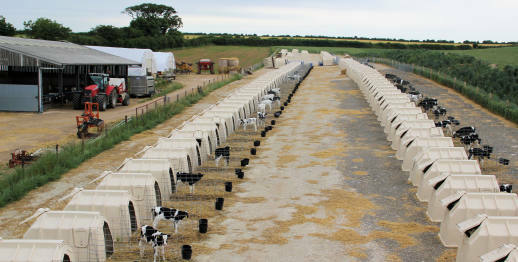 The original Calf-Tel hutches are still in use after 30 years, with over 350,000 Calf-Tel hutches in use worldwide. 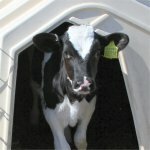 Calf-Tel hutches come in a range of sizes to suit all breeds and rearing methods, with high quality fences and feeding accessories. Since installing the hutches pneumonia and cryptosporidium have been eliminated. We are now turning out better quality dairy heifers which will prosper in the dairy herd.